When you hear the words “customer experience,” what comes to mind? Is it a friendly customer service rep? Is it an easy-to-navigate website? Or how about free shipping or returns? The most dominant force for a business used to be offering the customer what he or she needed. It was all about finding a pain point and creating the right solution. And that was enough to grow a business. People would even forgive a subpar experience as long as the end result was what they wanted. Because no one else was offering that product or service, so the experience took a backseat to the solution. But as technology kept improving, markets grew increasingly saturated. There were tons of businesses doing the same thing. Online retail shopping blew up. Online grocers were putting a strain on brick-and-mortar markets. Hundreds of companies even started delivering meal kits right to your doorstep. It was no longer enough to have the right solution, or even the right solution with the right interface. So how did certain companies stand out? Why did some businesses rise to the top while other folded and crumbled? Two words: customer experience. Think about the companies you love doing business with. What are they? And what do you enjoy about them? The top companies in the game aren’t just offering solutions to your pain points, they’re pulling out all the stops – giving their customers the white glove experience from start to finish. Friendly customer service reps, free shipping and returns, light-speed service, and more and more perks that you didn’t even think about. It’s not just about giving you what you need – it’s about giving you what you want. Customer service isn’t just about the product or service, it’s about treating customers like they are the top priority. That is why companies that are putting a premium on convenience and consistency are winning. Look at Venmo, for example. Venmo is in the same market as Paypal, doing the exact same thing, but Venmo has captured a substantial part of Paypal’s market by making it easier for the customer. That is the importance of customer experience. Too many companies have grown complacent. They think, well, we provide a solution to the customer, so that should be good enough. But sooner or later someone else is going to come in and capitalize on the areas where you fall short. They will create the superior customer experience that you don’t have. The result? They capture your market share, and, eventually, that will put you out of business. So where do you start as a business owner? Take a comprehensive review, or audit, of your current customer experience. Ask yourself: Is my software easy to use? Is my product or service easy to order? What makes it hard for my customer, and how can I not only make it easier, but how can I go above and beyond? Remember, it’s not about meeting your client’s expectations – it’s exceeding them. Rent the Runway – a designer dress and accessory rentals business, for example – sends back-up sizes just in case the items you ordered do not fit. Zappos, an online shoe retailer, takes all returns for free, no questions asked. And Amazon? While they may not have the ideal shopping experience – is it even possible to sort through the thousands of options? – they offer an unprecedented deal with shipping, and the customer has absolute certainty knowing that they will be covered if the package does not show up or if they need to place a return. Here’s the question you need to answer: If you had to start all over and build a company that’s in your market, with the same types of customers, what would it look like? How would you build it to be better than your own? 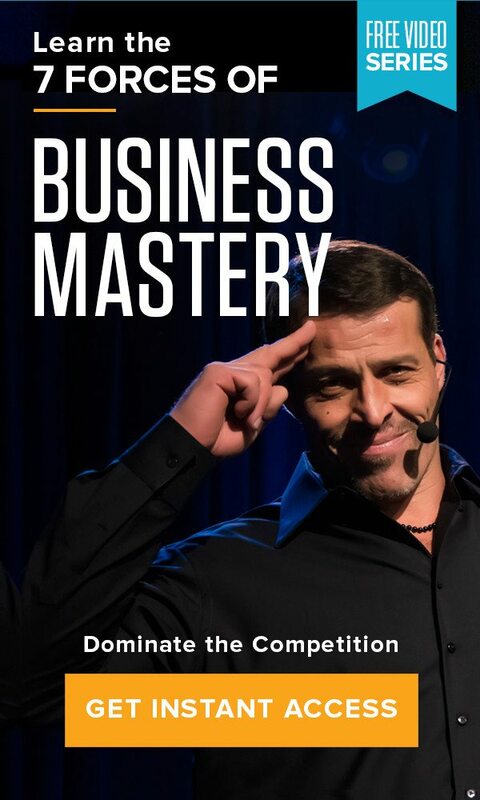 The answer will give you the strategy you need to stay ahead of your competition. Remember, they too are looking at your weaknesses – they want to outflank you and capture your market. But if you can use these weaknesses as opportunities to innovate and create an easier, safer and more enjoyable customer experience, then you will not only be able to retain your current customer base, but may be able to outflank them and capture a greater market share, too. While you might be surprised at how much people expect these days, this is simply where they are at. This is the new reality of today’s consumer-focused world. It’s all about the customer experience, from start to finish. People don’t want to have to call customer service to get information or to complete tasks that that should be intuitive on the website. On the contrary, people see automation as a sign of sophistication, and that reflects well on your brand. People feel like they are being hassled if they have to pick up the phone and call. But if they do have to call a representative, then it must be the most enjoyable experience as possible. No waiting times. Friendly service. Easy fixes. Find the authentic voice of your client. Do not base your quality of customer experience on whether or not you provided a solution. Go out and actually ask your customers how they felt – use a survey, send direct emails, ask for feedback. What were their frustrations? What were their dislikes? Each of these negative answers is an opportunity for you to innovate. If your fear of the answers you might hear causes you to tune out – or never ask to begin with – then you will never really grow. Look for what makes you uncomfortable. Remember, weaknesses can be your biggest opportunities for growth, innovation and connection with the customer. You want to create a business that has thoroughly considered each and everyone one of their customers’ needs. This is what creates raving fan customers, and, in turn, breeds brand loyalty – which equates to higher lifetime value and stronger revenues for your business in the long run.